India rests high expectations from the upcoming Marvel creation Deadpool 2, following the hype of the worldwide superhit Avengers: Infinity War. Keeping the mass sentiments in mind, Fox Star Studios has decided to initiate the race for ticket bookings for Deadpool 2 five days prior to its official release in the country. The theatrical release of all movies in India fall on the Friday of each week, as a result of which the bookings for the respective films usually start on Wednesdays. This year, Fox Star Studio negated their traditions and inaugurated the bookings on Sunday, 13th of May, wreaking chaos among the prospective buyers trying to secure the seats for their favourite movie releasing on the 18th. 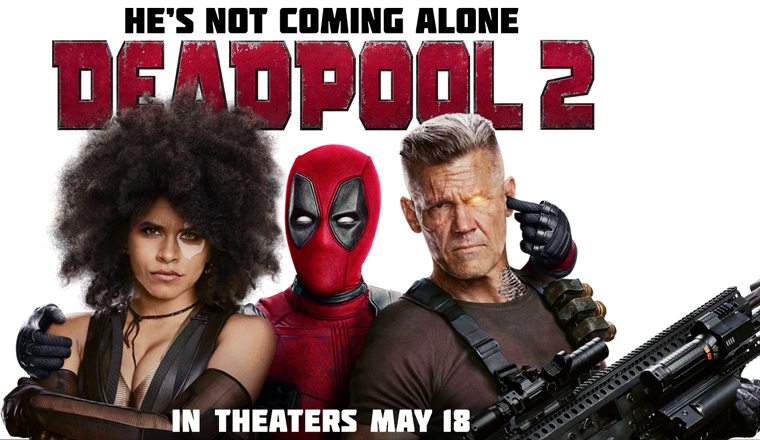 Bookings for Deadpool 2 have now officially commenced in English, Hindi, Tamil, and Telegu languages. The CEO of Fox Star Studios, Vijay Singh explained this decision in a statement prior to the opening of the bookings. He stated that Deadpool 2 had been generating tremendous buzz and interest all over the country for the past few weeks. As the release date neared, Vijay explained that the studio had personally received many requests of early bookings from fans and cinema owners. Therefore, Fox Star Studios had made a unanimous decision to start the booking procedure prior to the written date. Resting all hopes on the unpredictable and unconventional hero, Fox Star Studios prepares for what might be the biggest opening night at the Indian box office in quite some time. The Indian Wire, owned and managed by Sorting Hat Media Networks Private Limited, is an independent news website covering latest updates on politics, business, technology, sports etc. Founded in 2017, The Indian Wire is headquartered in Bangalore with a branch office in Noida. TIW currently covered news & updates in English and Hindi, with plans to launch more vernacular languages later this year.